What’s the Deal with Fluoride in My Water? The controversy over fluoridated water is making news lately, as more and more concerned citizens question their local governments about the benefits and possible drawbacks of adding fluoride to drinking water. In 1945, dental researchers and city officials in Grand Rapids, Michigan agreed to fluoridate the city water supply for experimental purposes. 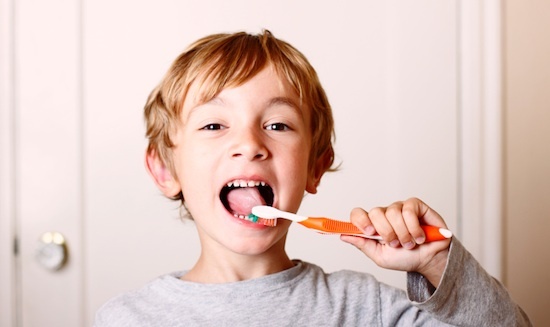 After eleven years, the results were staggering; tooth decay rates had dropped 60%. Ever since, cities across the country have adopted fluoridation. The American Dental Association and other prominent public health organizations endorse the practice wholeheartedly. In a situation becoming more familiar in our information-heavy world, though, people are speaking out and challenging institutions on the benefits of fluoridation. Similar to the anti-vaccine and anti-GMO movements, there is a spectrum of dissent ranging from legitimate concern to government conspiracy mongering. It’s hard to argue with the wealth of information proving that fluoridated water has improved dental health, but it’s also important to acknowledge that many beneficial public health policies have detrimental side effects. Fluoride’s drawbacks are documented at length across the web, but few have been widely accepted. A recent British study showed a link between water fluoridation and thyroid issues (hypothyroidism). One undisputed fact is that an excess of fluoride (fluorosis) causes tooth decay. There is minimal evidence of fluoride as a carcinogen. The real issue with fluoride in public water supplies is informed consent. Americans have always been fiercely individualistic; the explosion of the internet has magnified this trait. Citizens can now pull up information on other countries’ fluoridation practices quickly and realize that the U.S. adds fluoride more widely than any other country in the world. People can also look up the fact that fluoride is a chemical, one being prescribed to them without consent. This issue is also at the core of the anti-vaccine movement, but there is one very important difference. If you don’t vaccinate your child, others are at risk of catching a disease from him or her. If you don’t opt to fluoridate your water, you are not putting anyone else at risk. This is the core of the fluoridation issue today. People deserve the option of what they consume, especially if it has the potential to affect their health. All Evolution Healthworks drinking water products reduce fluoride content by 65%. For those wishing to remove more than two thirds of fluoride, we offer an additional filter attachment to remove 99.9% of fluoride. This entry was posted in Blog, Drinking Water, Drinking Water Filtration System, Home Water Filtration Systems, Tap Water, Water Filter, water for health, Water Treatment and tagged chemicals in drinking water, drinking water, fluoridation, fluoride, fluorosis on February 26, 2015 by Adam. 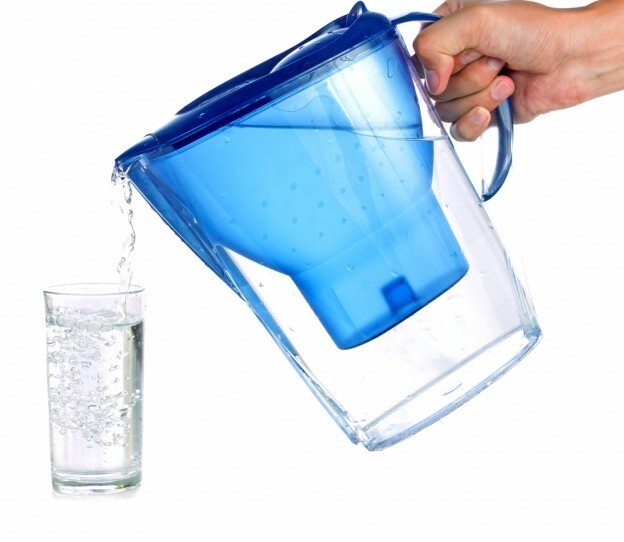 It’s critical to filter your drinking water in order to remove contaminants that can affect your health negatively. As with most home products, there’s an array of different filter options varying in price, benefits and point-of-use. For many consumers, a Brita filter is the easiest option. It comes in a easy-to-use pitcher, can be bought from your local Target, and is relatively easy on the wallet. Brita products use a standard activated carbon and ion-exchange resin disposable filter as their primary filtering mechanism. What does that mean for your drinking water? It means that you are not adequately filtering your water. Brita technologies only use a basic carbon filter, which does not remove all of the contaminants in the water. This holds especially true for San Diego, where we have very high amounts of agricultural runoff and heavy metals in our water. Another issue is that Brita filters do not remove or kill bacteria in the water. This means any living organisms that are in your drinking water are affecting your health. Are there any risks to using a Brita? Beyond not removing all contaminants, Brita is a fine filter to start out with. However, it is critical to change and remove filters. If you don’t there are some serious risks associated. When the filters are not changed, they become breeding grounds for bacteria. This means that if you’re not changing your filters, your supposedly filtered water may actually be more dangerous that normal tap water. Research suggests that this occurs no later that 6 months. Call us today today at 619-356-3766 to learn more about how Evolution can help you Drink Clean! This entry was posted in Brita, Contaminants, Drinking Water Filtration System, San Diego, Water Filter on February 18, 2015 by Drink H2O. We’re Teaming Up With Illuminate Juice! 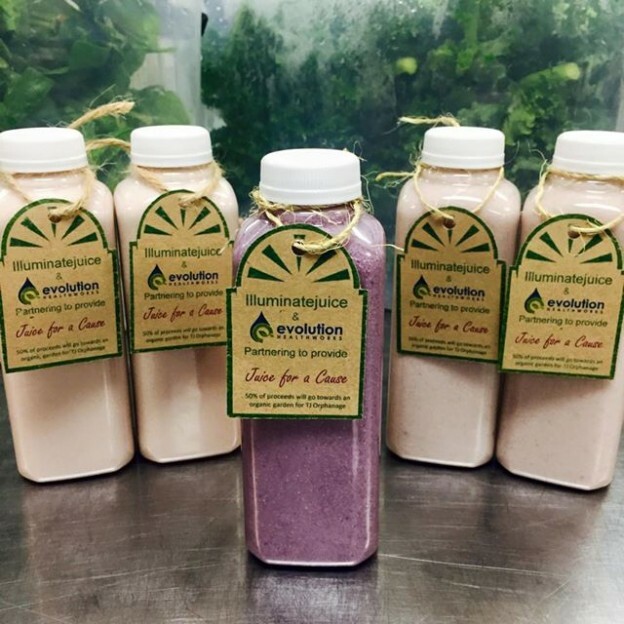 We’re thrilled to announce our partnership with illuminatejuice on their “Juice for a Cause” campaign! 50% of the proceeds from their Berry Almond Milks will go toward building an organic garden for an orphanage in Tijuana. We’ve tried several of these Milks and they’re delicious! Help us contribute to a good cause today by ordering a few – they deliver! Evolution Healthworks provides us with the alkaline water to make our awesome tasting almond milks and now we have new Berry Milks. Strawberry, Raspberry, Blueberry & Blackberry and all for a good cause! Our “Juice for a Cause” Campaign was started to help us build an organic garden for an orphanage in Tijuana and you can help us to help them by trying our New Berry Almond Milks. 50% of the proceeds will go towards building the organic garden. This entry was posted in Drinking Water on February 12, 2015 by Drink H2O.